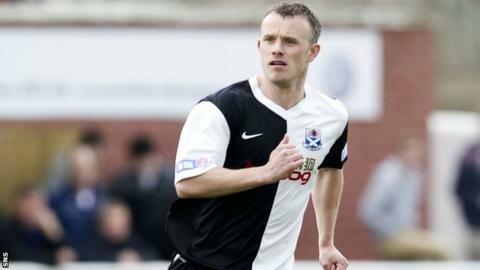 Mark Roberts has replaced Brian Reid as manager of Ayr United, with the latter reaching the end of his contract. Reid leaves Somerset Park after five years at the helm, with the club relegated to Division Two. Roberts, 36, was signed by Reid in January 2009 and the striker has scored 51 goals for the Honest Men. The former Partick Thistle forward will be assisted in his first managerial job by the club's current head of youth development, Davie White. Roberts told the club website: "I can't wait to get started. "I'm looking forward to the opportunity and I always relish a challenge and the chance to be the manager of Ayr United is one that I couldn't pass up."